Microsoft (NASDAQ: MSFT) joining the race has now finally unveiled a new type of wearable that is compatible across several devices. Introducing the Microsoft Band company has removed what’s been missing with the Windows Phone devices. The watch, like any other smartwatch in the market, also has the capabilities to track and monitor the users’ health, display notifications and do other basic tasks. Coming at a price of $199, this wearable from Microsoft not only tracks your health but also pays for your shopping. It can give Apple, and other emerging smartwatch manufacturing companies a tough competition. 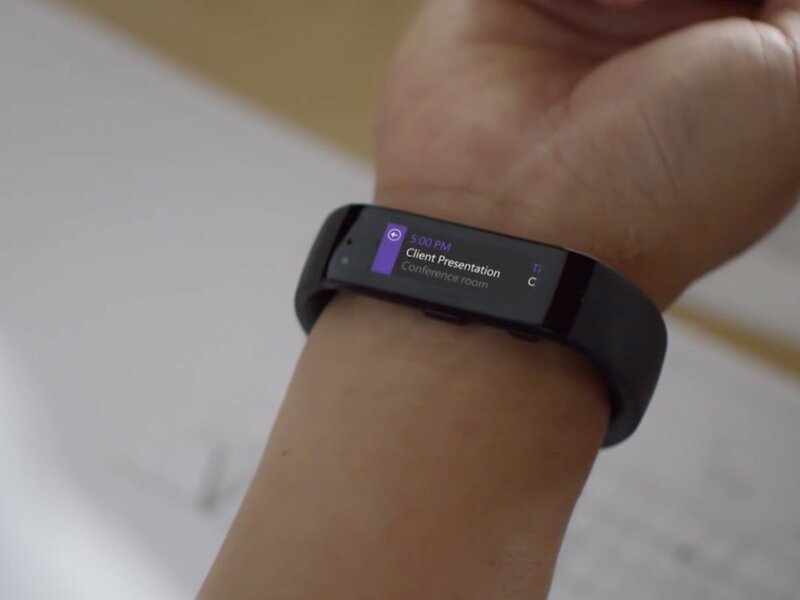 Microsoft Band will work with the Microsoft Health — or that’s what it has been called so far. It will combine the data that has been collected and will analyse it to produce a more organised and better result. However, the big news here is that the watch is coming before the release of Apple Watch. It has been rumoured to debut during this holiday season. What’s good in this watch is that it will be equipped with all the required features an individual can expect from a mobile device. Microsoft’s favourite Cortana digital voice is going to make it better, but will require a Windows Phone in the proximity. With Cortana, you can request weather reports or any pull up any other query for that matter. However, what’s been strange here is that, unlike most of the manufactures that make wearables compatible for their devices, Microsoft Band can also be paired with any iOS or Android device. The Band has already been packed with a lots of features and come along with nearly 10 sensors that can help you sense the UV light, heart rate, sleep and distance travelled. In an exclusive partnership with the Starbucks the Band will generate a special bar code to help you buy a coffee for yourself.